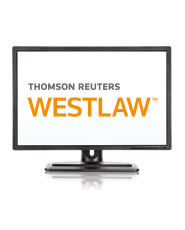 With WestlawNext on Concourse for Corporate Counsel Plan 3 - Employment and Corporate Counsel Guidance, you will have access to the Westlaw on Concourse GC Essentials Core Module, Employment and Human Resources Module, and the Corporate Counsel Guide to … Module. Give fast, accurate, authoritative answers with this core collection of primary law. Designed specifically to meet the unique needs of in-house counsel, WestlawNext on Concourse GC Essentials includes unlimited access to state and federal statutes and caselaw, state administrative codes and the CFR, plus KeyCite, the industry's most up-to-the-minute citation service, and KeyCite Alert. Additionally, WestlawNext on Concourse offers your team a space to collaborate and organize research and matter documents. You can also access matter folders within Outlook, Windows Explorer, Concourse Matter Room, and WestlawNext from the office or on the road. Employment and Human Resources provides the exact information you need to help you conduct employer-employee relationship matters, from hiring and termination to better managing your company's Equal Employment Opportunity, Occupational Safety and Health Act compliance program, and much more. Get easy access to expert guidance on the issues that matter most to your business. To help you advise with confidence, the Corporate Counsel's Guide to … set provides practical guidance, sample agreements, forms, and checklists for everything from antitrust issues to international law. You'll also receive the Special Study for Corporate Counsel on … set, which covers in greater depth the issues that matter most to your business.